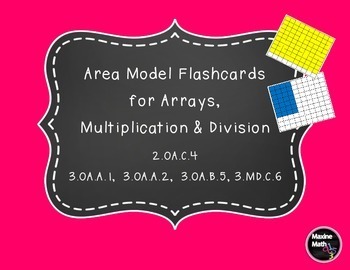 This is a set of 100 area model flashcards using factors 1-10. Print, cut and laminate for repeated use. 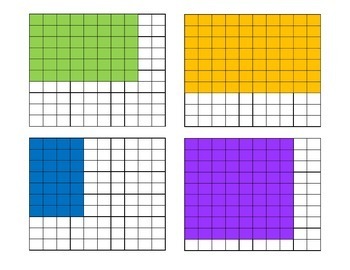 Students can give the repeated addition or multiplication fact for the models. 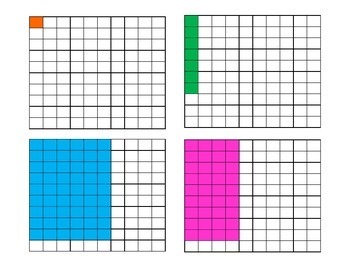 Rotate the cards to demonstrate the commutative property. The cards can be used for lessons, matching activities, centers, or assessment. Models support standards 2. OA.C.4, 3.OA.A.1, 3.OA.A.2, 3.OA.B.5, and 3.MD.C.6. Thanks for looking and please follow my store for more products, freebies, and sales!